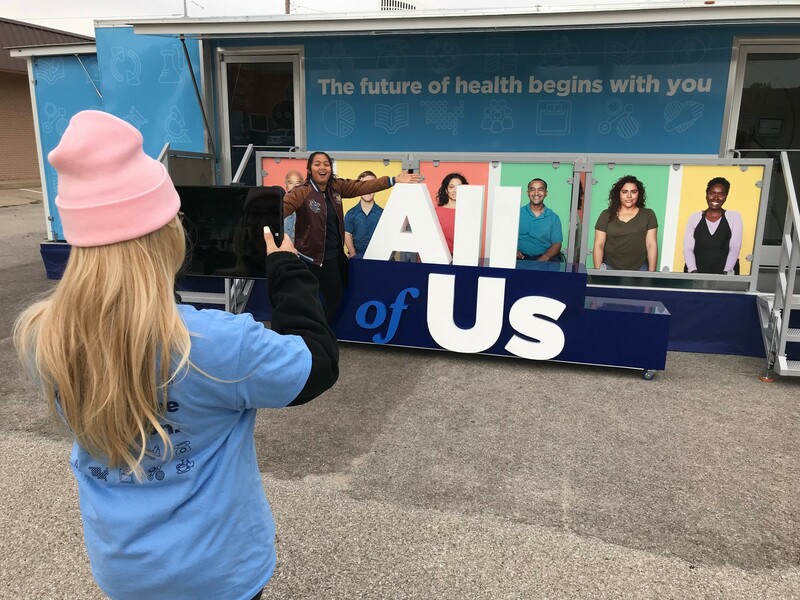 The All of Us Journey visits Jackson, Mississippi from Thursday, Feb. 7 through Saturday, Feb. 16. Join us and our partners to learn more about the All of Us Research Program. – Thurs. 2/7 – with the Mississippi Rural Health Association at Jackson Medical Mall, 350 W Woodrow Wilson Ave, Jackson, MS 39213 – 10 a.m. to 2 p.m.
– Fri. 2/8 – with the Mississippi Rural Health Association at Walmart Supercenter, 131 Handley Boulevard, Byram, MS 39272 – 10 a.m. to 2 p.m.
– Sat. 2/9 – with the Black Women’s Health Imperative and the Jackson Mississippi Department of Health at Jackson Medical Mall, 350 W Woodrow Wilson Ave, Jackson, MS 39213 – 9 a.m. to 1 p.m.